Pembrokeshire Tree Surgeons & Grounds Maintenance contractors primarily specializing in tree care, vegetation control & landscape management, we offer a complete range of tree services carried out to the highest standards. We cover every Aspect of Tree Surgery from Felling that dangerously decayed Sycamore in your garden, to Crown Reductions on your Beech trees at your workplace or Crown Lifts on the Ash trees along your driveway to fruit tree pruning at your farm. Our Grounds Maintenance operatives cover all of Pembrokeshire & are in Milford Haven, Neyland, Solva, St Davids, Fishguard, Goodwick & Crymych to name but a few on a regular basis offering Grass Cutting, Lawn Mowing, Strimming, Brushcutting, Hedge cutting, Weed Control, Leaf Collection, Litter Picking & Site Clearances. Do you have any stumps in your garden that are getting in the way? Have you had a tree removed but have been left with tree stumps in an area that you want to use? We offer a quick and affordable service that will remove the stump to below ground level and give you that ground back. Not only does this service offer you a solution to a problem but with minimal disruption, the stump is ground away. Whether you have one stump or a number of stumps we have the machine to deliver an efficient service tree stump grinding / removal service in Pembrokeshire so there's need to hire a noisy expensive stump grinder!, email or phone us for a free quotation of how we can remove that unsightly or unsafe stump for you. 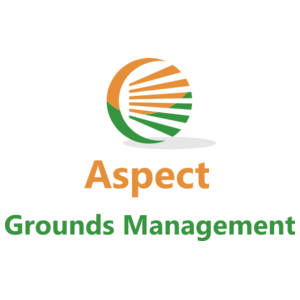 Whether you require a tree removed in Narbeth, your grass cut regularly in Pembroke or a one off site clearance in Tenby, we cover your home or business so please feel free to phone for a free consultation of how we can help you on 07838147001 Aspect Grounds Management. Our teams are suitably qualified, experienced, insured and equipped to carry out the work we undertake. Copies of all our policies, risk assessments and insurance documents are available for clients to view upon request & our public liability insurance is £5,000,000 for your peace of mind.